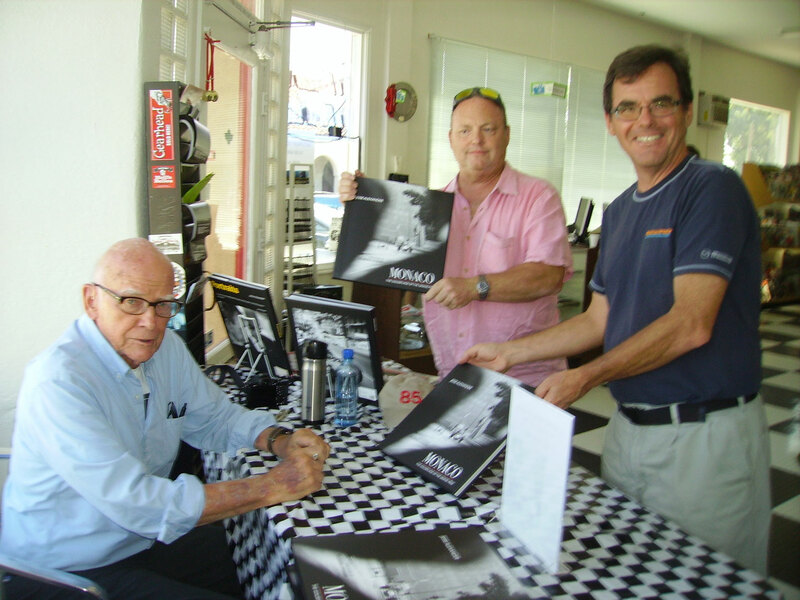 On Saturday, September 13, 2013, iconic racing photographer Jesse Alexander was seen at Autobooks-Aerobooks signing copies of his latest work: “Monaco: The Golden Age of the Grand Prix”. 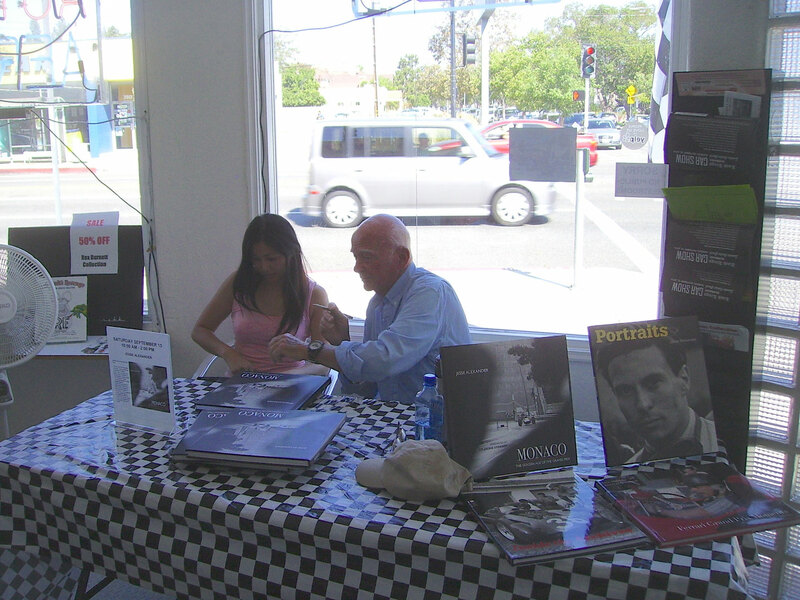 He was happy to chat with fans, telling stories of his time photographing legendary drivers such as Phil Hill, Stirling Moss, and Jackie Stewart. 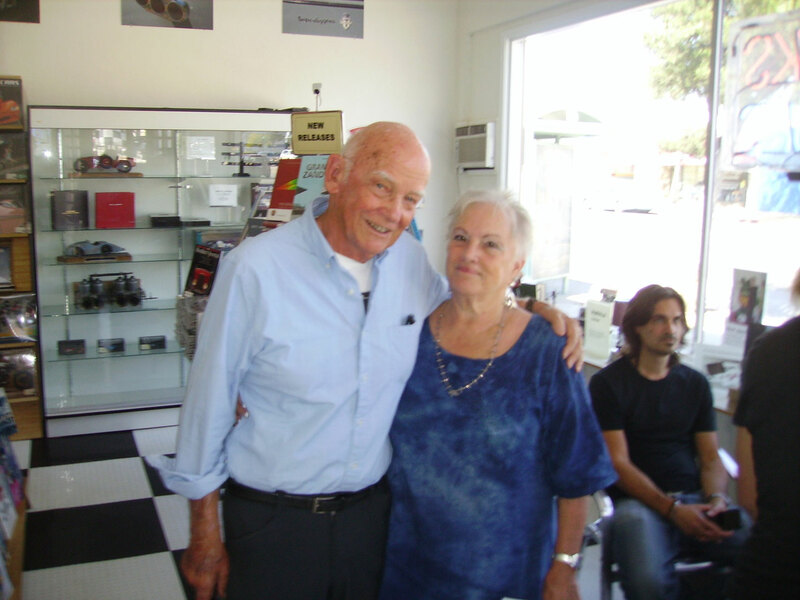 On his own site, Jesse Alexander says, “This is not just an auto-racing book. What I’ve tried to do is to paint a picture of the glamour, excitement, and romance of the golden age of motorsport in this tiny country that once a year hosts the most famous Grand Prix race in the world.